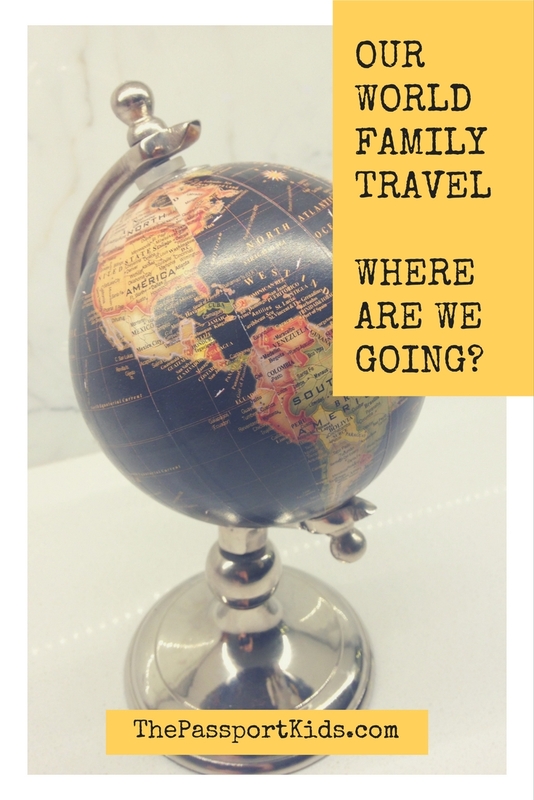 Our World Family Travel – Where are we going? The first question we get when we tell people we are traveling for a year is – Where are you going? Part of the journey is to not have too much of plan, which makes this question a bit tricky to answer… and really hard for my type A personality. But, we do have some general areas that we want to go to and have planned with these spots in mind. We are heading in an East direction around the world and we will have destinations planned out about 2 months in advance. We are hoping to explore 5 continents – Europe, Africa, Asia, Australia & South America. Another goal is to go all the way around the world! It will be interesting to look back in a year and see where the journey took us. We are open to new places and ideas. Hi Nicole – looks like a great travel list. Linda and I have been to Italy and Portugal and we really liked both of them. Since you will be ‘in the neighbourhood’ maybe consider Spain too, especially the southern half; the combination of food, history and people has made it our favourite destination so far. Jim – Thanks so much for the suggestion, we will definitely consider Spain as an option. So many great spots to go visit and so close together. I’ve only been to Barcelona, so the southern part of Spain would be great to explore. Love the openness and flexibility in your plan. Southern Spain was our home for almost two months. We found a great little spot and lived like locals. The kids loved the slower pace and we all enjoyed our time there. Morocco was amazing too. We did a little field trip from Spain and would definitely go back. Nicaragua was another highlight of our trip. We settled in there for a month and got to know people. When we talk with the kids about our time in Nicaragua (or anywhere we’ve been) their greatest memories are the people we’ve met! Wherever you go, you will enjoy your adventure! Your adventure destinations sounds awesome! We are hoping that along the way we will find a spot that we love and stay for a bit too :) I will need to research more into Nicaragua as a spot closer to the end of our adventure, I may reach out to you for info. Thanks so much for commenting, supporting and inspiring other families to get out and travel!